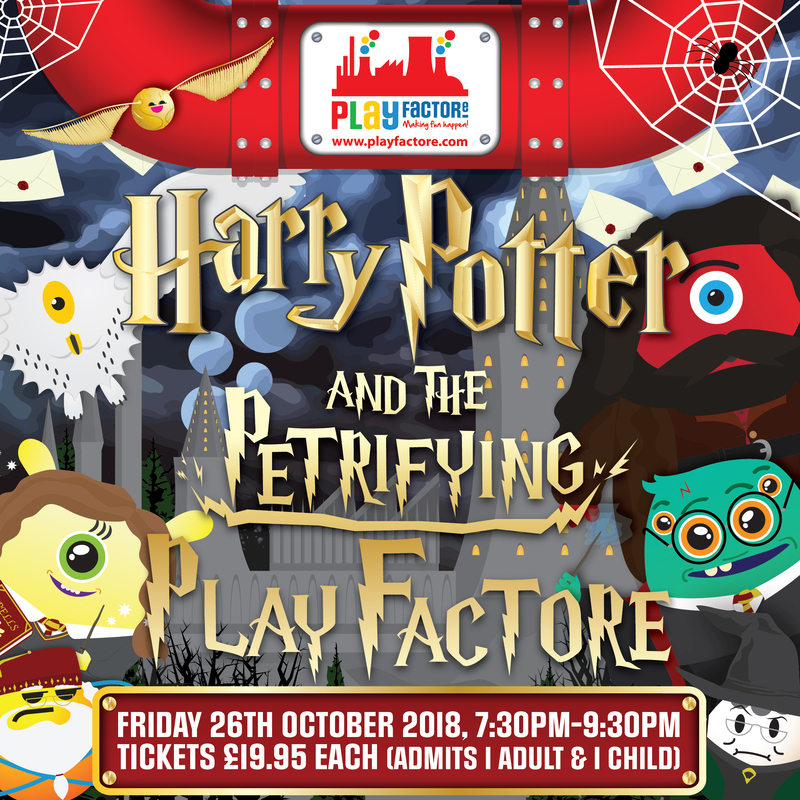 The one and only Halloween event that you have been waiting all year for – The Petrifying Play Factore will enthral you as the creators fling open the doors of wizardry and magic on Friday 26th October 2018, 7:30pm – 9:30pm. Buy your tickets online through Eventbrite Or CALL 0844 824 6030 to book your tickets now! The doors of wizardry and magic will be open on Friday 26th October as the iconic trio of Harry Potter and his trusty friends, Ron and Hermione swoop in on their brooms to thrill and entertain all your young witches and wizards! 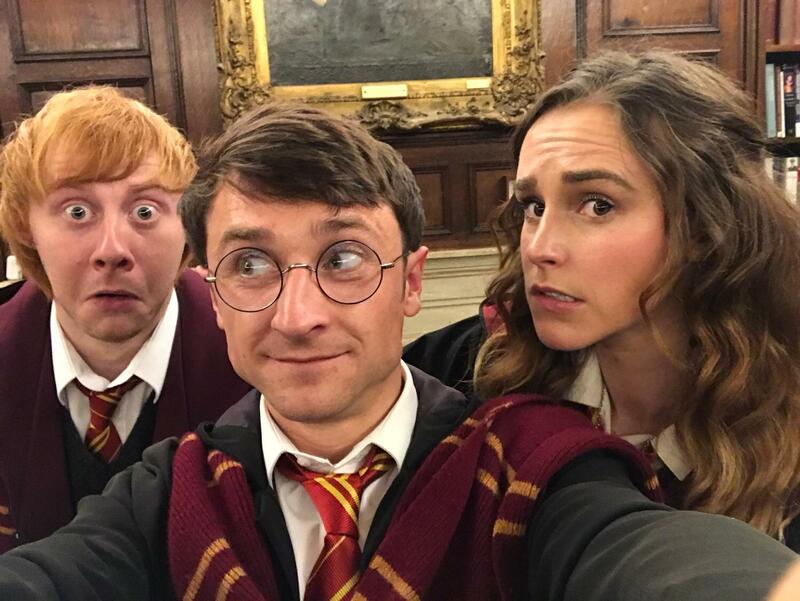 The lookalike trio will transport Play Factore to the fantastic world of Hogwarts with an astounding magical show by Harry Potter himself! Prepare to be spellbound by Hermione Granger and watch out for Ron Weasley’s mischievous acts as they mingle with the muggles. Be sure to practice your defence against the dark arts as a rumour that He-Who-Must-Not-Named may be making an appearance at the Petrifying Play Factore. There will be an electric disco with terrifying tracks so you and your little ones can dance the night away, or rest those fiendish feet by popping over to the restaurant area and gobbling up your ghoulish sweetie cone. Book your tickets now for a petrifying night to remember at the UK’s largest indoor family entertainment arena! We are so excited to be able to offer 2x tickets (Total admission of 2 Adults and 2 Children) for the Halloween event to one lucky Mummy Fever reader. Add a thrill to your half term and Halloween. Giveaway will run until October 21st. Winner’s details will be passed to Playfactore, who are responsible for sending out the prize. My favourite Harry Potter character is Hagrid. I like Hagrid, he would definitely be a great member of the family to have around. We like Harry himself. Such a cool guy.